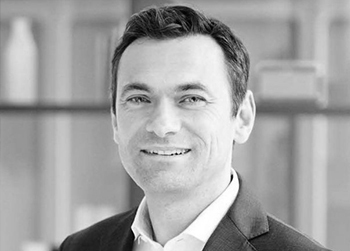 Benoît Legrand is an intrapreneur with more than 20 years experience in transforming various areas of banking (Investment Banking, Traditional Retail Banking, Private Banking and Direct Banking) in 5 different countries (Belgium, France, The Netherlands, Poland and Singapore). He began his career as an investment banker at Bank Bruxelles Lambert, before it became ING Belgium. He rejoined ING a few years later, after founding his own start-up company in retail distribution. In 2010, he was appointed CEO of ING Direct France, the leading direct bank on the French market, and Country CEO ING Bank France in 2013, after merging all retail, commercial banking and real estate activities into one single integrated entity. From October 2015 to May 2017, Benoît was President of ING Bank France. Since October 2015, he has been the Global Head of FinTech of ING, playing a leading role in the digital transformation of the bank. He is now CEO of ING Ventures.